Ready to go shopping next weekend and take advantage of whatever Black Friday deals you come across? Have you made your own list of things to buy? 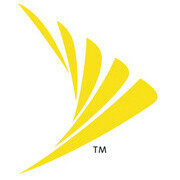 Then here's another offer you might want to consider if Sprint is your wireless carrier of choice. The Samsung Galaxy Nexus and Samsung Galaxy Victory 4G will be on sale through Sunday, November 25, for anyone willing to commit to a new 2-year contract. Both smartphones will be offered for free after a $50 mail-in rebate, according to the leaked promo flyer you see pictured. 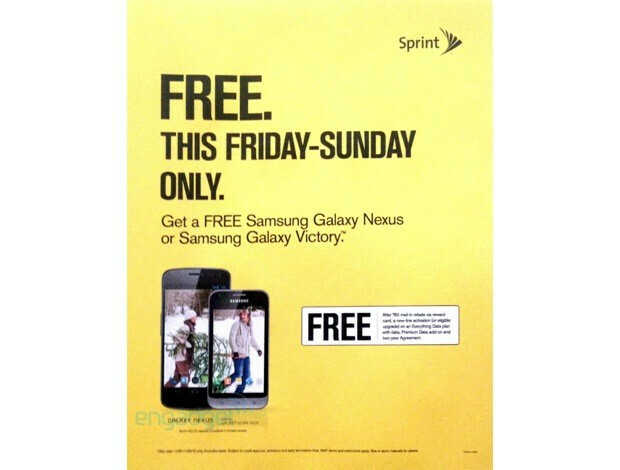 Further details aren't being detailed, but our guess is that the deal will be available in Sprint stores only, although double-checking on the carrier's web page next Friday just to make sure would be a good idea. Anyone thinking of grabbing one of these Samsung Android smartphones?